So fun to drive along the streets of Tokyo! Went past Asakusa and saw the skytree from far too. Just remember to get the international license. Overall a great experience! 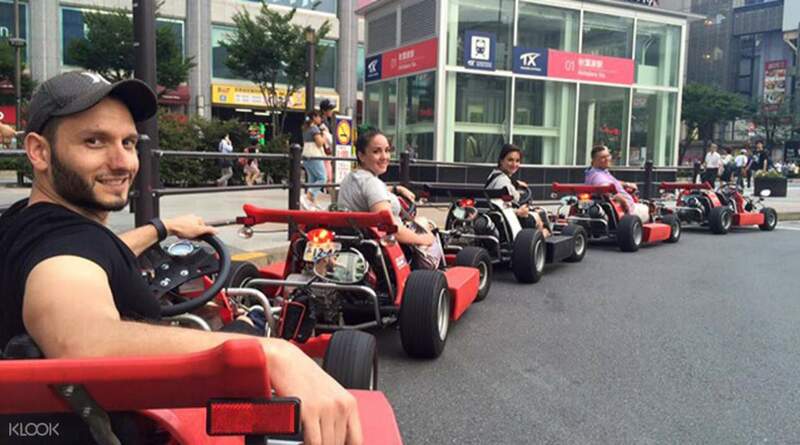 Driving the streets by go kart is one of the most thrilling ways to see Tokyo's Otaku paradise, Akihabara! 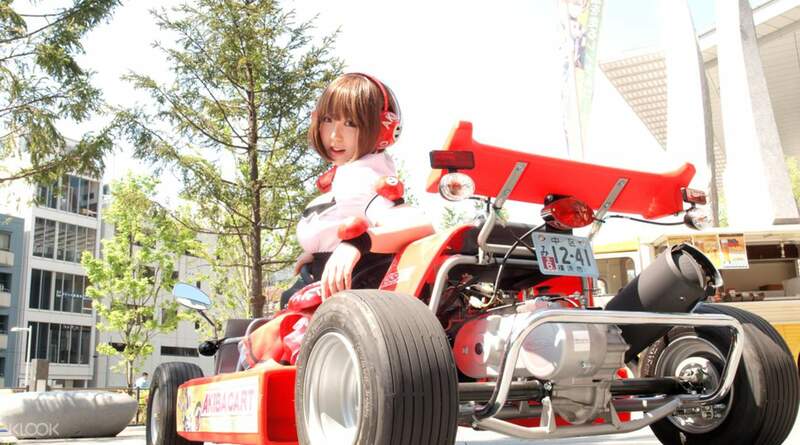 Choose from a variety of cosplay costumes and take pictures with your go kart before hitting the road. Enjoy driving up to 60km/h on the public roads as you take in the city sights and bright lights of Akihabara. If you have enough time, drive outside of Akihabara and explore the more unique and less traveled roads. Where you go is up to you! Make sure to have your camera ready and take a lot of pictures - this is a unique experience you won't want to forget! Get used to the limelight as many bystanders will be taking your picture too! 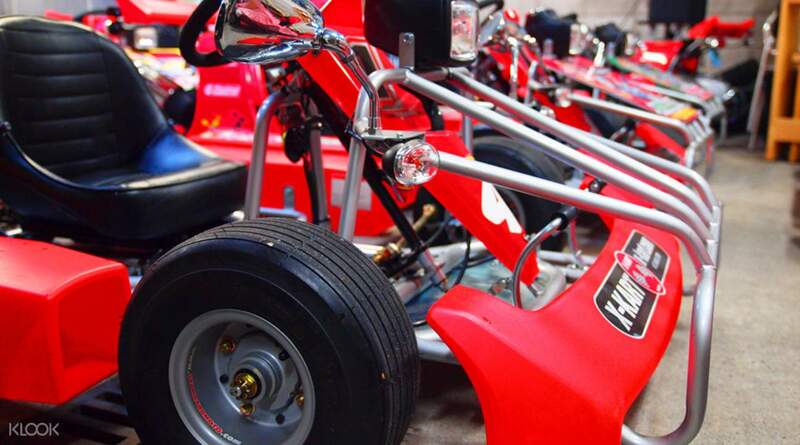 Take your go kart for a spin...have fun! The facility provides cosplay costumes that you can borrow for no extra charge. You can purchase inexpensive costumes at the nearby Don Quixote shop if you would like your own! Thank you klook for this booking. Street go karting in tokyo was very helpful to us traveling to japan. We explore osaka very well and have free entrances to different site. We will defined book again. Very easy to avail and redeem. We will book again if ever will go to japan again. Thank you klook for this booking. Street go karting in tokyo was very helpful to us traveling to japan. We explore osaka very well and have free entrances to different site. We will defined book again. Very easy to avail and redeem. We will book again if ever will go to japan again. We enjoyed riding around Akihabara and the nearby burroughs. Saw the Asakusa Temple and Tokyo Skytree along the way. The guide was able to take us into a nice pictorial spot too. We enjoyed riding around Akihabara and the nearby burroughs. Saw the Asakusa Temple and Tokyo Skytree along the way. The guide was able to take us into a nice pictorial spot too. The guide was very friendly and patient. He brought us around the streets of Tokyo at a pace where everyone can follow and always checked if we were okay at the back. A great experience indeed! The guide was very friendly and patient. He brought us around the streets of Tokyo at a pace where everyone can follow and always checked if we were okay at the back. A great experience indeed! Suppose to be 2 hours without guide but the guide explained since it was our first time driving in Japan, we will need a guide. & something like it was weekday and only have guide for an hour, and he will contact Klook will refund the difference. so we only drove an hour with a guide with another 4pax whom I believe took an hour package. Not sure if the costumes are being washed but we do return into the bin. Costumes looked dirty but it was okay since we only drove less than an hour after all the explaination and trial driving around the building. My eyes were pretty painful since the debris on the road will fly into your eyes. Advice to wear goggles and a mask. Overall it was pretty awesome drive . The guide will help you take photos & videos and airdrop to you. Suppose to be 2 hours without guide but the guide explained since it was our first time driving in Japan, we will need a guide. & something like it was weekday and only have guide for an hour, and he will contact Klook will refund the difference. so we only drove an hour with a guide with another 4pax whom I believe took an hour package. Not sure if the costumes are being washed but we do return into the bin. Costumes looked dirty but it was okay since we only drove less than an hour after all the explaination and trial driving around the building. My eyes were pretty painful since the debris on the road will fly into your eyes. Advice to wear goggles and a mask. Overall it was pretty awesome drive . The guide will help you take photos & videos and airdrop to you. It is fun and cool activity. Highly recommended! Good deal on Klook!!! This price is lower than other companies. Even upgrade to tour service($1000yen per head) is still considered reasonable. The whole experience is required experience drivers. Newbie drivers might be scared by cars passing, making turns and switching lines. Haha.. driving 50/60 km on actual road needs to pay extra attention. Suggest to join a tour and follow a group. It is more visible to go out as a team on street. Keep cars alert. If you are sensitive on breathing in exhaust gas, please request a mask. If you can handle a while, you get some cool photos. It is optional for you! I joined one hour package. It is manageable for one hour. More than 1 hour, please keep a mask with u first. Costume is acceptable. Since the quality of character costume is normally poor, it will get old naturally after a few time laundry. For photo shot, it doesn’t affect u on photos. I heard that Mario costume is only permit for 1 company because of copyright issue. If Mario character is NOT a must for you, many characters are available. Just don’t get disappointed without Mario. Location: It takes 8mins walking distance from Akihabara station. Building is easy to find. It is fun and cool activity. Highly recommended! Good deal on Klook!!! This price is lower than other companies. Even upgrade to tour service($1000yen per head) is still considered reasonable. The whole experience is required experience drivers. Newbie drivers might be scared by cars passing, making turns and switching lines. Haha.. driving 50/60 km on actual road needs to pay extra attention. Suggest to join a tour and follow a group. It is more visible to go out as a team on street. Keep cars alert. If you are sensitive on breathing in exhaust gas, please request a mask. If you can handle a while, you get some cool photos. It is optional for you! I joined one hour package. It is manageable for one hour. More than 1 hour, please keep a mask with u first. Costume is acceptable. Since the quality of character costume is normally poor, it will get old naturally after a few time laundry. For photo shot, it doesn’t affect u on photos. I heard that Mario costume is only permit for 1 company because of copyright issue. If Mario character is NOT a must for you, many characters are available. Just don’t get disappointed without Mario. Location: It takes 8mins walking distance from Akihabara station. Building is easy to find. nice experience. but you need to be extra careful while driving. do not be panic if you get stucked at the traffic light as it turns red. the guide will wait for you and be sure you are able to catch up. nice experience. but you need to be extra careful while driving. do not be panic if you get stucked at the traffic light as it turns red. the guide will wait for you and be sure you are able to catch up. This has been a great activity, better than expected. I thought it would make me nervous but the guide has known how to wait and move between Tokyo traffic without problems and without stress. Although he does not know English perfectly, he knows how to make himself understood, he has been very attentive and it has been a pleasure. pity not having taken two hours instead of one. The car was comfortable, and behaved well, the costumes if It is so worn and somewhat dirty, but as it goes on top of the clothes, it did not matter to us. The only bad thing that the ticket offices are for payment, 300 yen. We recommend the experience. This has been a great activity, better than expected. I thought it would make me nervous but the guide has known how to wait and move between Tokyo traffic without problems and without stress. Although he does not know English perfectly, he knows how to make himself understood, he has been very attentive and it has been a pleasure. pity not having taken two hours instead of one. The car was comfortable, and behaved well, the costumes if It is so worn and somewhat dirty, but as it goes on top of the clothes, it did not matter to us. The only bad thing that the ticket offices are for payment, 300 yen. We recommend the experience. Best experience in Tokyo! The 2 guides couldn't speak English but they were able to explain to us how the go-karts worked so it was okay. We passed by the Sky Tree, Asahi Buildings, and many more. We were just a bit surprised cause we were asked to join another group during our time slot even though we paid for our own tour guide but it wasn't a big deal. Overall, we had lots of fun! Best experience in Tokyo! The 2 guides couldn't speak English but they were able to explain to us how the go-karts worked so it was okay. We passed by the Sky Tree, Asahi Buildings, and many more. We were just a bit surprised cause we were asked to join another group during our time slot even though we paid for our own tour guide but it wasn't a big deal. Overall, we had lots of fun! Great experience for me as a first timer driving go kart. Indeed 1 hour is not enough if you really enjoy it. 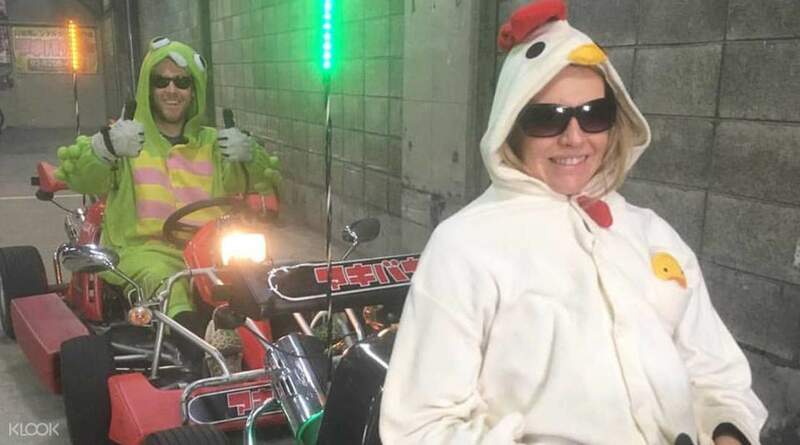 Because that the 1 hour include changing into the costume plus teaching you how to operate the kart and not forgetting also some waiting time for other people on the road. Great experience for me as a first timer driving go kart. Indeed 1 hour is not enough if you really enjoy it. 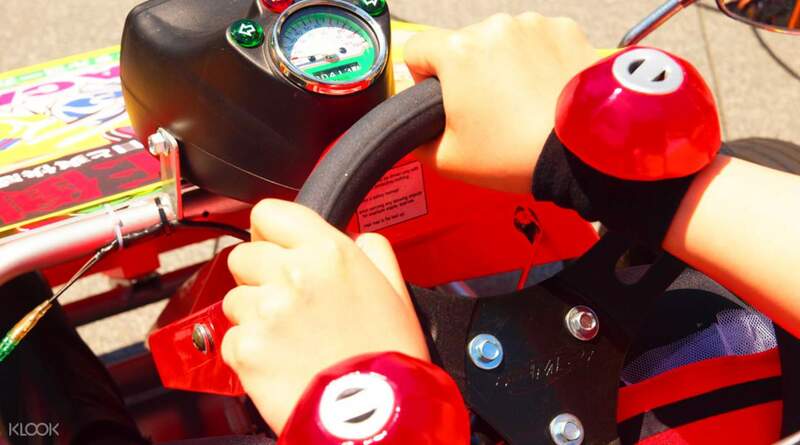 Because that the 1 hour include changing into the costume plus teaching you how to operate the kart and not forgetting also some waiting time for other people on the road.